In my repositories ( GitHub and DockerHub ) I have an automated Dockerfile build based on borromeotlhs', but his is currently broken, and doesn't automate all the process. and then run make to finish the build (will take a long time). where the container is given a name, shared directory and opens a terminal. Note: The 'el' in mipsel indicates it is a Little Endian version of MIPS. Another option is to create a package, and install with opkg, as explained here (step 6b). In this second Docker Hub repository I simply run make tools/install and make toolchain/installfrom my previous image. The download is about 2GB. Edit 3: Added CMake support. Check this cheat sheet and this other one. See https://docs.docker.com/docker-for-mac/osxfs/#namespaces for more info. Then, I was not sure how to run the make command (I remember with the 8051's you would list your source and all the libraries you included) so figured I'd just enter it and it may give me a usage report. My computer then wants me to load XCODE. Is this the route you took? And, what parameters did you feed MAKE? PS: Voting wise, even though it is bigger, I think for the un-initated like myself, the two heavy Docker repositories would probably be more suitable. The -v option tells docker to mount the directory on the left of the colon on the container /remote directory. Think of it like a E:/ drive in windows when you plug a pendrive, but it's just another directory inside the container. And then you go for a coffee, 15 minutes later come back for everything built. Notice this is if you have Omega2, if you have Omega2+ read my new edit (give me a minute). which won't compile packages, but will give you the gcc cross-compiler, and save a couple GB of space (not much). On Mac to share some directories you have to add them before using the GUI. By default /Users/ should work, but here you have more documentation. @José-Luis-Cánovas Thank you, the installation went well. However, I am a little lost here, like a paper plane enthusiast in a Space Shuttle cockpit. Oooh, sooo many buttons! When you have a moment, can you provide a bit of hand holding here please? So, assuming the environment variables are setup correctly, I use the HOME folder for my source code right? How do I link the Omega libraries? What options should be specified as parameters for the compile? Don't copy and paste this code, because this is Dockerfile syntax, but you get that your path must include the /lede/staging_dir/toolchain-mipsel_24kc_gcc-5.4.0_musl-1.1.15/bin:/lede/staging_dir/toolchain-mipsel_24kc_gcc-5.4.0_musl-1.1.15/bin directory. About linking libraries, this thread answers it. And finally, you can use any directory for your source. It is a good practice to have it on /home/omega/myProject/, but you can also use the /remote directory created when docker run, and have your code in your mac. If you didn't use the -v option to mount the /remote directory, it can only be done with a docker run, but don't do it, because you will create another container (one image creates on docker run as many containers as you want). 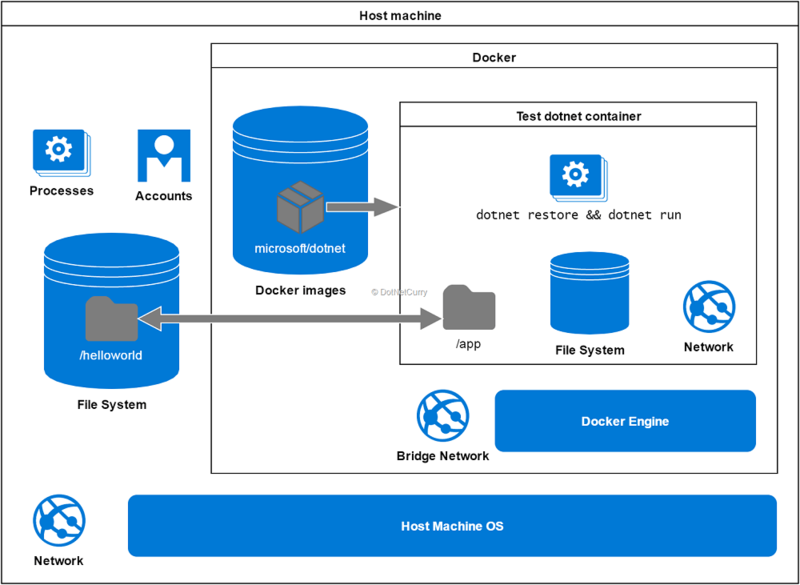 Read about docker commit to create a new image with the SDK (warning: the image will need another 17GB of disk), and then do a docker run -v ... with the new image. Thank you, I will try to get my head around it. Thank you for your patience. @José-Luis-Cánovas Yay! I got a hello world compiled, transferred and run on the omega. Thank you. seems there is light at the end of the tunnel. There are still some problems. I can't seem to set PATH and the environment variable STAGING_DIR. The workaround I've used is to run the export command at the container command line. Is there a way of setting this without having to run the export commands so I don't have to do it every time? I don't understand what you said about the -v option and not to do it. Docker is still a bit of a mystery to me. I use the /remote folder to copy the bin to so I can then connect via a terminal from the host machine to transfer it to the omega. I'ts a bit of a pain but I can live with it. Also, lets say you want to use the i2c library. So, you specify the #include <onion-i2c.h> in the source, but how do you compile/link and generate the binary file? Or, how would you get to the gpio's? Would you use a pointer to the addresses in memory directly? A long * ? What are the most common options you specify on the mipsel-openwrt-linux-gcc line? Then, lastly: I have both Omega2 and Omega2+, how can I set this up so I can develop for both of them? I noticed you mentioned editing some files but does that mean I have to run a make eveyrtime I change hardware platform? Thank you José. I really appreciate your help. Then, lastly: I have both Omega2 and Omega2+, how can I set this up so I can develop for both of them? I noticed you mentioned editing some files but doe that mean I have to run a make overtime I change hardware platform? You shouldn't have to do much of anything different between the two when building ordinary userspace programs; only the bootloader and system builds really need to know about flash partitions, address width and memory size. Add it to the /home/omega/.bashrc line, at the end, and those two export lines will execute everytime. That's actually a use for the -v option, to have a shared directory (/remote) between the container and your host machine. The same way you copy your bin to /remote and then you can access it from your mac, use the other way around to copy your source code to the machine. That way you can edit your code with Atom/Sublime text/XCode/etc. from your mac, and access them from the container in /remote. The dynamic libraries are stored in /usr/lib on the Omega. The two -l options you add to the Makefile are the same you add to your gcc command. It tells to find dynamic libraries named oniondebug and onioni2c, but doesn't need them now (dynamic). The library files are already inside your omega2, so you don't need to copy any files. The same I would use with common gcc. Like before, if I need a dynamic library, use the -l option, etc. Depends on your project. You can search for an introduction to Makefile for "good practices", but it can became something too big for what you want, so stay in the basis of make. I don't know exactly what processor has the Omega2+, but I don't think it's different from the MIPSel of the Omega2. To build executable binaries the same compiler should do fine, try to run the same binary hello_world in both and check for yourself. To build your own firmware, then you must proceed with caution not to break your omega. No worries. This messages can help other people too, and we all started from the bottom. if you are still interested, I added (in the OP edits) the image with all the make commands to build the SDK already executed, and also added CMake support, very easy to use and works like a charm for me. If you use CLion projects for example, you only have to copy your source code to the shared directory (between your mac and docker), copy the Toolchain-omega2-mipsel.cmake file I posted in the Edit 3 and run cmake from docker as said in the last lines. If any errors happen, delete the CMake cache files and try again. @José-Luis-Cánovas José, me again. I used the -lonioni2c etc. but it says it can not find the libraries. Is this because of using Docker and does it mean I will have to download the actual source files and compile those, ignoring the actual library? By the by, there is something odd in this whole thing as the h files are missing so I was forced to download those as well. Logically (again in my limited experience in the Linux world) I would expect the see the h files in the same (or similar) directory as the actual library .so file? e.g. /usr/include or something? I mean, the pre-processor and compiler must have access to them right? Well, really, they (h and so files) should be part of Docker? Probably that I do not understand the whole Docker setup properly as Docker is (obviously) not aware of the actual hardware/firmware/software that is on the Omega meaning referencing any directories are not going to work as expected because the compilation/linking is not taking place on the target system? Does using docker mean that using shared object libraries are off the cards? Think of Docker as a virtual machine (doesn't work like that, but for the sake of simplicity), in particular, an Ubuntu 14.04 with some files added (/lede/*). Anything you run on the Docker container, doesn't affect your host machine, only your shared directories, and those are for copying code. Now that we think of the container as a machine on its own, let's see the SDK. Ubuntu comes with gcc that compiles C code to its own architecture, and it can run the compiled binaries with its shared libraries, e.g. in /usr/lib. All that is fine, if you compile for the PC. Omega2 can't compile anything because the compiler is too big for it to run on the Omega2. Therefore, we need a cross compiler, including the gcc binary and cross compiled libraries aiming for the same MIPSel arquitecture as the Omega2 has. The gcc binary and cross compiled libraries are not in your Ubuntu 14.04 /usr/lib directory, because Ubuntu doesn't need any of them. They are inside the /lede/staging_dir/toolchain-mipsel_24kc_gcc-5.4.0_musl/ (the compiler) and /lede/staging_dir/target-mipsel_24kc_musl/ (the include and library files) directories. There is where mipsel-openwrt-linux-gcc must look for the headers and libraries (see below). Your errors come from the linker not finding suitable files for your specified libraries, because the directory is wrong. One bug I find is that your toolchain dir has a -1.1.16 in the end. It is now gone in the new builds of the docker image. Notice that PATH no longer has -1.1.16, and the include and libraries directories are set for the compiler. Finally, once you compile successfully and copy it to the Omega2, the binary that uses shared libraries will find the .so objects in the Omega2 too, but the lede SDK already have them all in your host machine. @José-Luis-Cánovas thank you José, I will download the new image and try again. Will it install overvthe old image or must I use docker to delete the old one? run -it --name omega2-sdk-app-f -v /<inserted my host dir here>:/remote jlcs/omega2-sdk bash. This gave me a omega@a1e6ec1ab9d3: prompt. It is the old container. 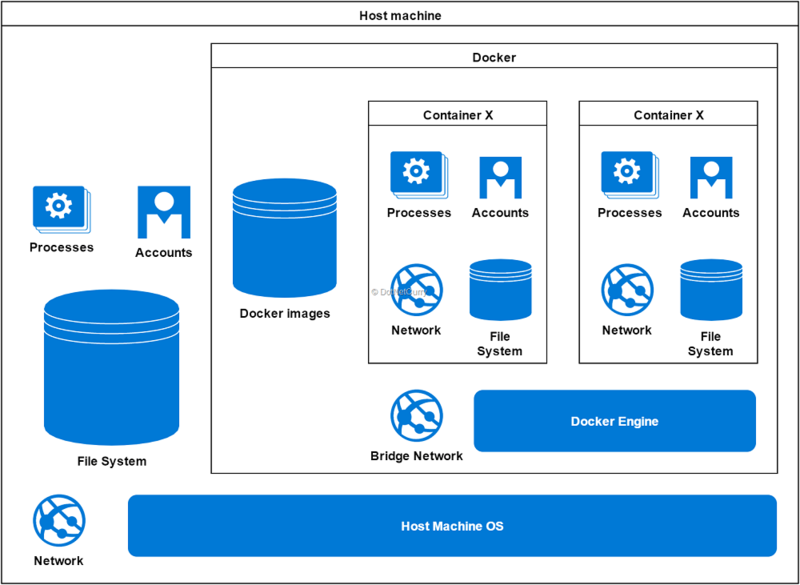 In Docker we have images and containers, images are static, and containers dynamic, what you run. With your command you are telling docker to create a new container with a fixed name; because it already exists (the container you have been working with) it shows an error. Here is the error. The penultimate argument in your command should be jlcs/omega2-docker-built, the name of the new image, but you used jlcs/omega2-sdk, the one that didn't run the make commands.